Paris is a city of a thousand dreams, a city of a thousand bucket lists. How could I possibly dare to narrow down one thing you cannot miss? Well obviously, if I was writing a very literal post, the answer to this would be the Eiffel Tower, because you literally cannot miss it while you are in Paris. It’s just…so…visible! That’s definitely not a bad thing, the Eiffel Tower, largely like Paris itself, is gorgeous. But, hopefully you guessed that I wouldn’t waste both our time by writing a blog post on something so obvious. 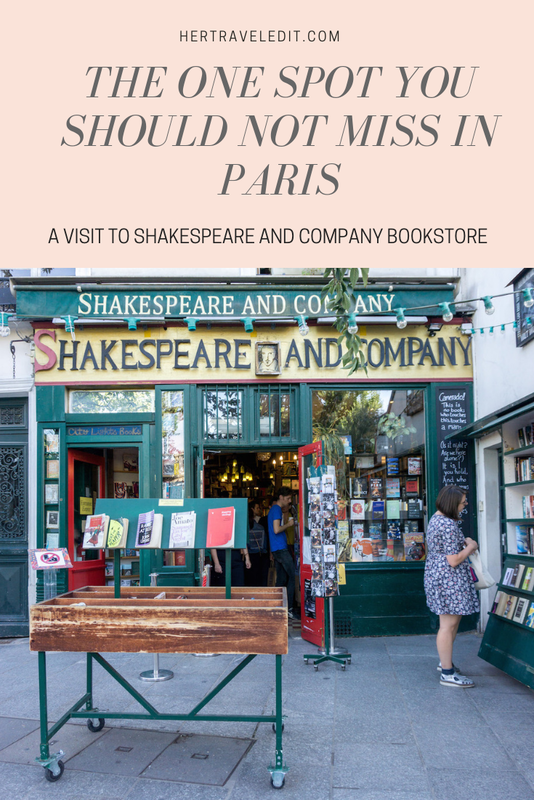 Cue the drum roll – the one thing you simply mustn’t miss in Paris is – a visit to the Shakespeare and Company Bookstore. Ok, before half of you groan and click away, hear me out. Shakespeare and Company is about as romantic as bookstores get. In the year 1600, it was a monastery named La Maison du Mustier. The times changed, and Paris changed with it, and a hundred years ago the building housed a wine shop. The times changed again, and the wine shop turned into a bookshop. The ugly building hiding the wine shop from the Seine was demolished and replaced by a garden. The bookseller, George Whitman, tended to his bookshop like it were a garden itself. And then, a few years ago, he passed it down to his daughter. 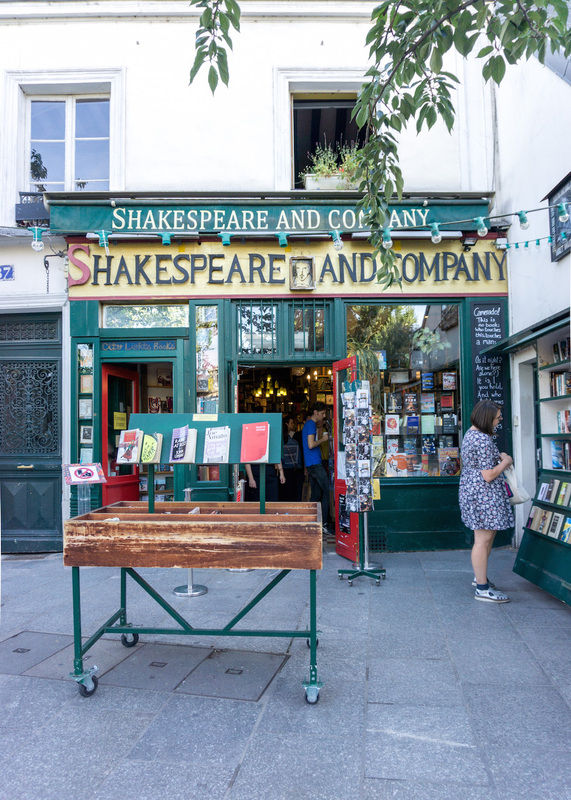 Shakespeare and Company draws inspiration from the great thinkers and writers who have long made Paris their home. And luckily for you and me, they have a large collection of books in English. We walked there in the late afternoon, ready to be enchanted. I entered and immediately felt at home, beckoned by the lovely scent of books and paper. 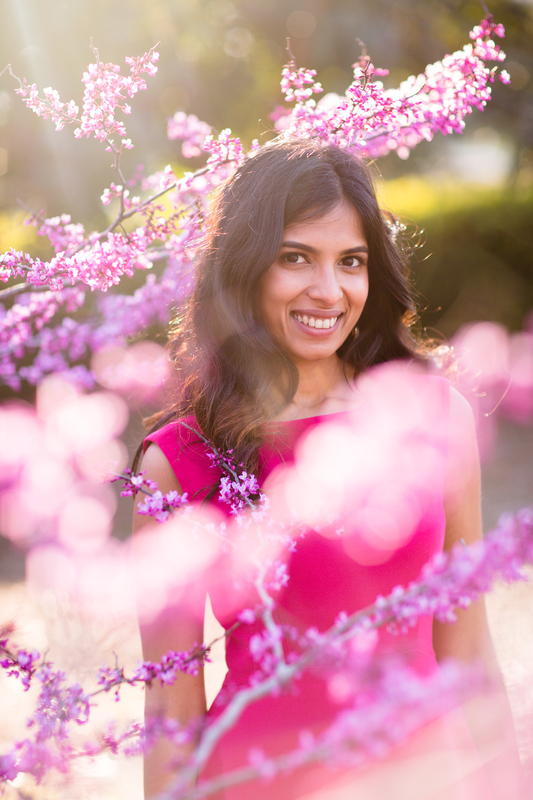 The instagrammers that preen and pose outside had melted away. 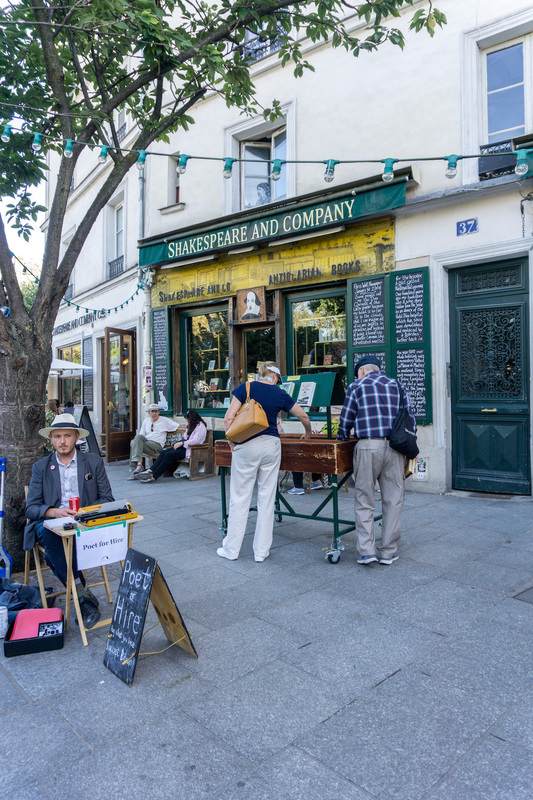 Shakespeare and Company’s ban on photography is such a blessing for true book lovers. True, my hands sometimes itched to take a photo. Every inch of the place is, well, so instagrammable! But in the end, I enjoyed it more because of their well thought out decision. Every corner brings with it a delicious surprise – maybe a comfy couch with pillows and a great selection of conveniently located books to flip through, or maybe a grumpy cat, woken up from a nap on her pillow of old books. The second floor is the poetry section. For me, the real poetry was the breeze from the window overlooking the Seine, bringing with it the tolling of the beautiful bells of the Notre Dame. Sitting in that room full of poetry, I felt a sense of peace – but one you might only be able to experience in Paris – a peace mixed with the deliciousness of beauty and inspiration from the spirit of the literary geniuses still lingering on the left bank. 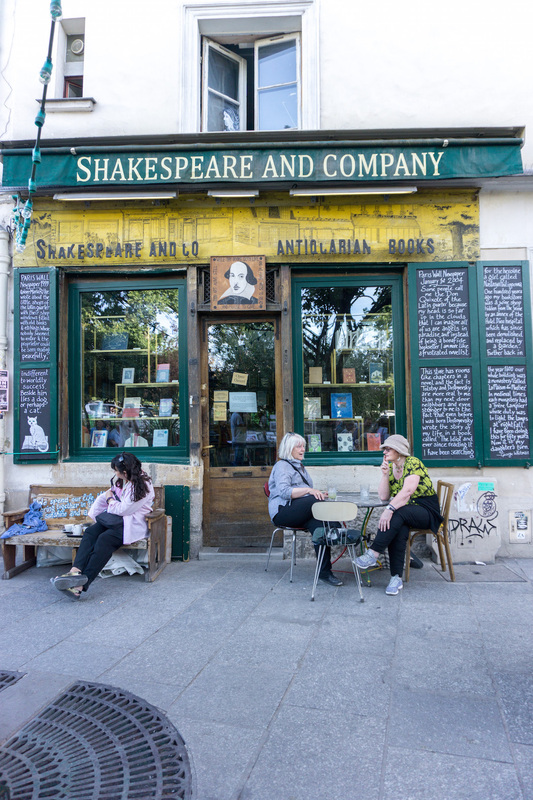 Put Shakespeare and Company on your Paris map. You won’t regret it. Pin this article for the future so that you don’t forget! 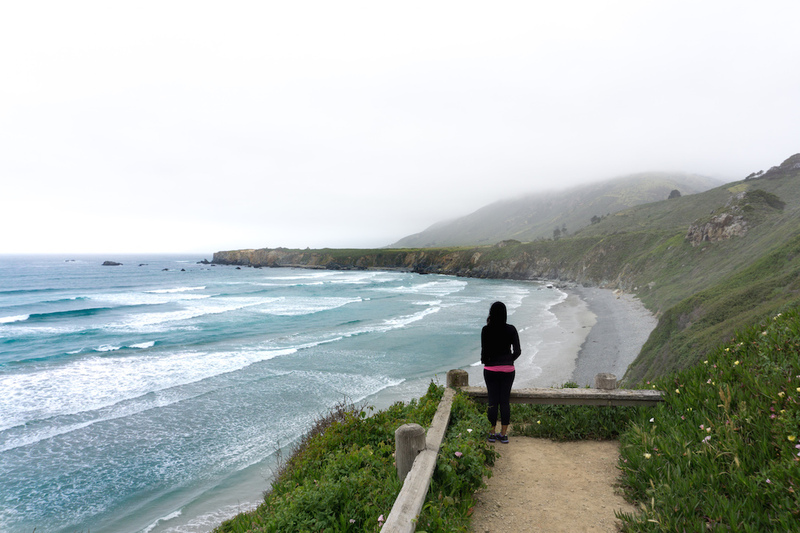 If you don’t know what I mean, read my helpful post on how to use Pinterest for Travel Planning. Hi . . . Somehow stumbled over to your Instagram. Started a journey through your travels. You are living in my favorite city of all time. Lucky you! However, now my journey through your travels brings me to my 2nd favorite city Paris, France! I visited there a few years ago. Loved every minute. I’m so amazed how the Europeans preserve their architectural beauty. Here in the states, if it gets old, tear it down. Aww thank you for your kind words on here and on Instagram! Thats so cool that you lived in Paris! What is your favorite part about it?